Tipped for a major breakthrough as one of XFM’s 12 for 2012, All The Young will release their new single ‘The Horizon’ on March 26th on Warner Bros. Records, with the video going now live. 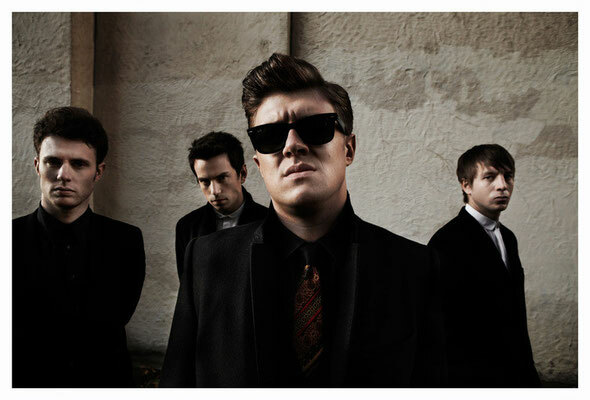 Recently seen on stage as guests to Morrissey, The Courteneers, The Wombats, Hard-Fi and The Pigeon Detectives, All The Young are on a run of 11 dates with the Kaiser Chiefs which has seen them ecstatically received by the Kaiser’s fans. As previously featured on the justaweemusicblog, this will then be followed by their own headline tour in March. They’ll also headline a HMV Next Big Thing / XFM New Music Award night at Manchester’s HMV Ritz on February 8th and the This Feeling club night at the Queen of Hoxton on February 11th.